First Deported ‘Dreamer’ Arrested by Border Patrol Trying to Sneak Back into U.S.
A man who claimed to be the first “Dreamer” deported under the Trump administration and who sued the federal government in U.S. District Court in San Diego was in Border Patrol custody Thursday after he tried to sneak back into the United States in Imperial County. 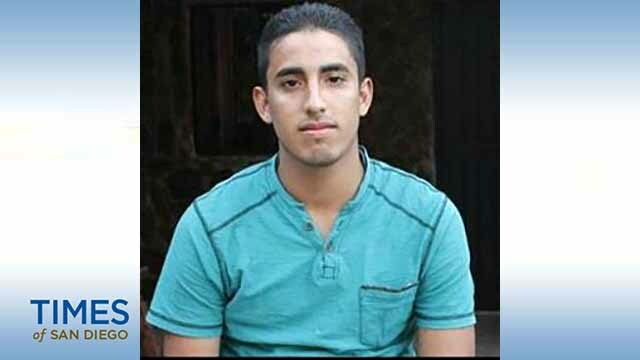 Juan Manuel Montes Bojorquez, 23, was detained late Monday night after border surveillance cameras caught him crossing the international boundary about 3 1/2 miles east of downtown Calexico, U.S. Customs and Border Protection officials said. Agents continued to watch the live footage as others were sent to detain him. The nature of Montes’ deportation earlier this year is still disputed. Border Patrol officials say he was deported in February after making a similar illegal crossing to the one he’s alleged to have made Monday. But Montes, who until February had lived in the United States since age 9, said he was waiting for a ride in Calexico after visiting his girlfriend on Feb. 17 when a U.S. Customs and Border Protection officer approached him and started asking questions. He said he had left his wallet in a friend’s car, but wasn’t allowed to retrieve it. Within three hours he was deported back to Mexico. In April, Montes sued the federal government, claiming he was deported despite being protected by the Deferred Action for Childhood Arrivals program. Under DACA, started under former President Barack Obama, people brought to the United States illegally as children were told they could stay as long as they registered with the government, had a job or went to school. President Donald Trump has said he’ll end the program March 5 but has asked Congress to come up with a new law to address the issue. Montes, whose lawyers said he was the first “Dreamer” to be deported under the Trump administration, dropped his lawsuit last month. Montes was being held in the Imperial County Jail on suspicion of re-entry after removal, officials said.